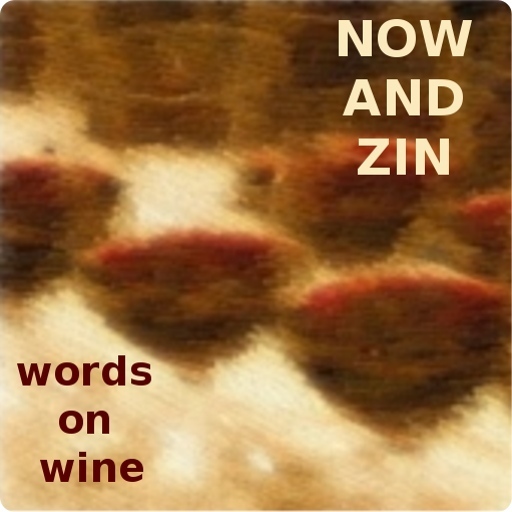 Some wines are marketed not by what's in the bottle, but what's on the bottle. Label art, a normally enjoyable addition to the wine in the bottle, often replaces wine quality and aims to appeal to consumers as they shop. Sometimes they are called "critter" labels, with cute or magnificent animals capturing the shoppers attention. The practice has spread to include eye-catching images or text of any sort. The 19 Crimes line shows pictures of actual criminals, with associated smartphone apps to let them "tell their story." There's a wine out there that takes the label appeal issue a step farther, targeting their demographic directly. The Middle Sister Rebel Red label says birth order determines psychological development, and claims that middle sisters are better suited to having a wine named after them because they were "born lucky." A new study reported last month differs with that opinion and says birth order does not affect a person's adult behavior. 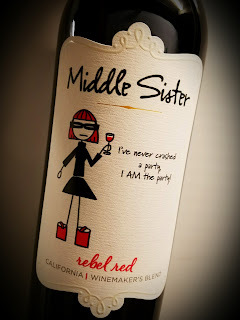 The stick-figure middle sister pictured on the wine's label says, "I've never crashed a party, I AM the party." The Mendocino County company also offers wines named Goodie Two Shoes, Drama Queen, Sweet and Sassy and Smarty Pants, while touting that they "give back to causes women care about." Marketing issues aside, they have little to say about the liquid in the bottle, except that it's a "top secret blend of delicious red varieties." An online search for info showed that they're pretty good at keeping that varietal secret. Alcohol clocks in at 13.5% abv and the wine sells for about $10. The non-vintage Middle Sister Rebel Red California Winemakers Blend is medium-dark ruby in the glass and displays a nose of strawberry, cherry, vanilla and oak spice. On the palate, one finds angular, tart red fruit, stiff tannins and a fairly heavy dose of oak. It's faint praise to say that it's not horrible, but Rebel Red is probably better suited to making sangria or serving chilled at a cookout than pairing with a meaningful meal.